Combine its athletic stance and hybrid performance, and the redesigned Camry Hybrid is a dynamic sedan that will make everyone do a double take. Bold exterior features include an aggressive front grille, machined-finished alloy wheels and dual exhaust with quad chrome tips. On the inside, the seats are distinctively shaped with available trim and contrast stitching. 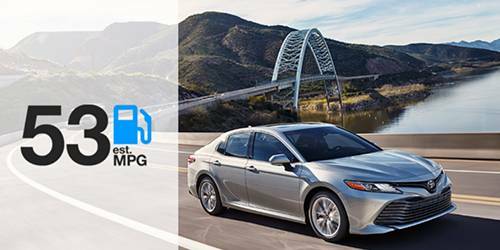 The hybrid variant has all the great features of a gas engine Camry, but offers an enhanced fuel economy with up to an EPA-estimated 51 MPG city rating**. Camry Hybrid is equipped with an Energy Monitor that displays the gas engine, the electric generator, and hybrid battery so you can get the most out of every drive. 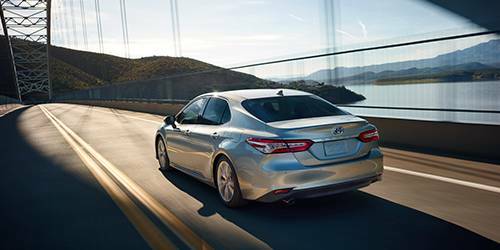 With its refined aerodynamics, lightweight materials, and smart technologies, you can go farther for less in the Camry Hybrid. While the Toyota Camry Hybrid remains virtually unchanged from last year’s model, there’s one significant update that drivers are sure to appreciate. 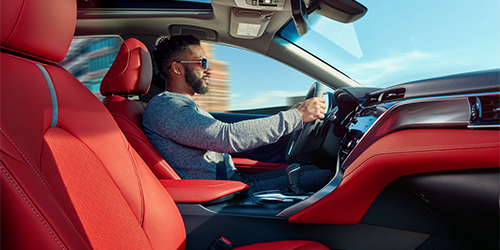 For 2019, every Camry Hybrid comes equipped with Apple CarPlay® and Amazon Alexa compatibility. Driving a Camry Hybrid means that you’ll enjoy thrilling performance, optimized fuel efficiency, and advanced technology to help improve every drive. 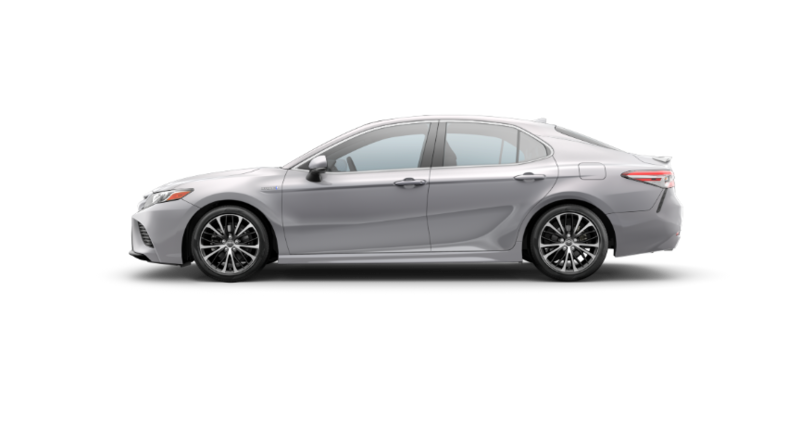 Its standard Dynamic Force Engine paired to a proven electric motor works in tandem with a smooth-shifting CVT to help the Camry Hybrid achieve up to an EPA-estimated 53 MPG on the highway**. Using a sophisticated hybrid battery, Toyota Hybrid Synergy Drive® has been continually perfected for 11 years to help ensure its remarkable reliability. An independent MacPherson front strut suspension and new double-wishbone multilink rear suspension work together to produce a responsive ride that’s both confident and relaxed. Choosing a hybrid sedan no longer means sacrificing on eye-catching style and striking exterior features thanks to the Toyota Camry Hybrid. Its bold profile is accented by a captivating blend of flowing curves and chiseled character lines. 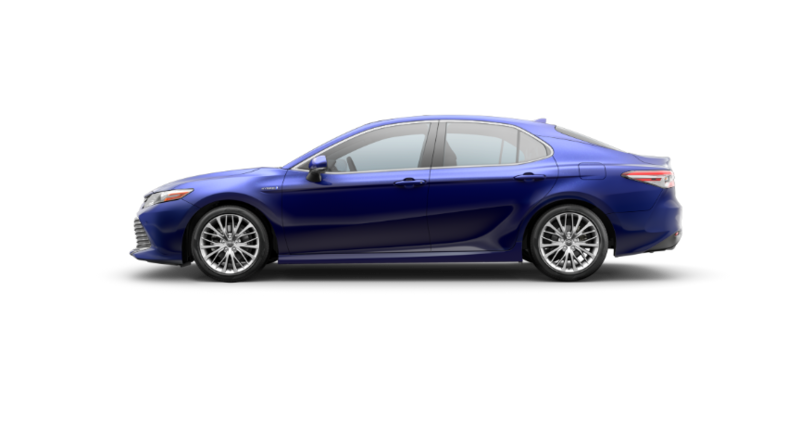 Sportier than ever before, the Camry Hybrid captures the attention of onlookers with new side rocker panels and an integrated rear spoiler to emphasize efficiency and performance. Available LED headlights with fully-integrated LED Daytime Running Lights are the perfect way to brighten up any commute. There are even 18-inch alloy wheels available to help reflect a personality as unique as your own. Placing the driver at the center of attention, the interior of the Camry Hybrid offers available features including a 7-inch Multi-Information Display (MID) and 10-inch color Head-Up Display (HUD) to monitor vital vehicle information. A new Entune™ 3.0 Audio System with App Suite is controlled via an optional 8-inch multimedia touchscreen with a customizable home screen along with pinch-and-zoom navigation controls. 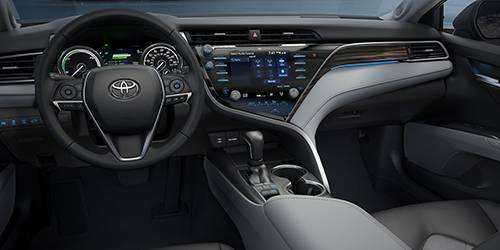 Optional leather-trimmed seating surfaces and a Smart Key System with Push Button Start are just two examples of the luxurious amenities found inside the Toyota Camry Hybrid. 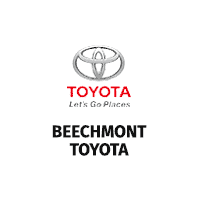 Toyota remains committed to engineering some of the safest vehicles on the road today. This tradition continues with the 2019 Camry Hybrid which includes standard Toyota Safety Sense™ P (TSS-P). Helping to protect you from the unexpected, technologies included in this collection are Lane Departure Alert with Steering Assist (LDA), Pre-Collision System with Pedestrian Detection (PCS w/PD), Automatic High Beams, and Dynamic Radar Cruise Control. A total of ten airbags are included as standard equipment as well. It comes as no surprise that the 2019 Toyota Camry Hybrid has received a 5-Star Overall Safety Rating from the National Highway Traffic Safety Administration (NHTSA).